The catalogue includes a code for a 10% discount on all PDF editions. This offer is valid until the end of summer (September 22, 2011). 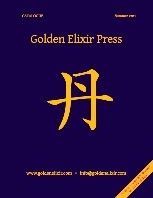 Hello, I am relatively new to alchemy and was wondering if you have an upcoming translation of the secret of the golden flower by richard wilhelm or if there is an alchemimical text that is similar but easier to understand with regards to accomplishing the work.